Boat bottom painting is an integral part of the routine boat maintenance. Keeping the boat in dry dock is a good way to keep its hull in pristine condition but boats or yachts kept in water must have bottom paint applied every 12-16 months to avoid hull degradation. Preparation is required for successful bottom paint as soon as the hull clears the water. The purpose of bottom painting is to protect the boat from fouling damage caused by underwater organisms that attach to the surface including fibreglass and metal. Most of the companies such as Anz Yacht provide you antifouling paint to your yacht that gives you worry-free boating experience. In this article, we will discuss how to apply bottom paint in great detail. Simple and growth are relatively easy to remove while yacht bottom paint is still wet, but let the stuff dry and you will have to chisel it off. Fortunately, most boatyards pressure wash the bottom as soon as they haul the boat and many also knock off hard with a long-handled scraper. The adhesion of the new paint is only as good as the paint under it. Hence, it is important to watch for the signs for adhesive failure. If you find anywhere old paint is flaking or lifting, scrape exposed the bottom with a knife or small chisel. If the paint zips off the bottom may need to be stripped of paint. When the old paint is in good condition, you only need to sand it, wash it and ape the waterline and roll on a fresh coat or two. 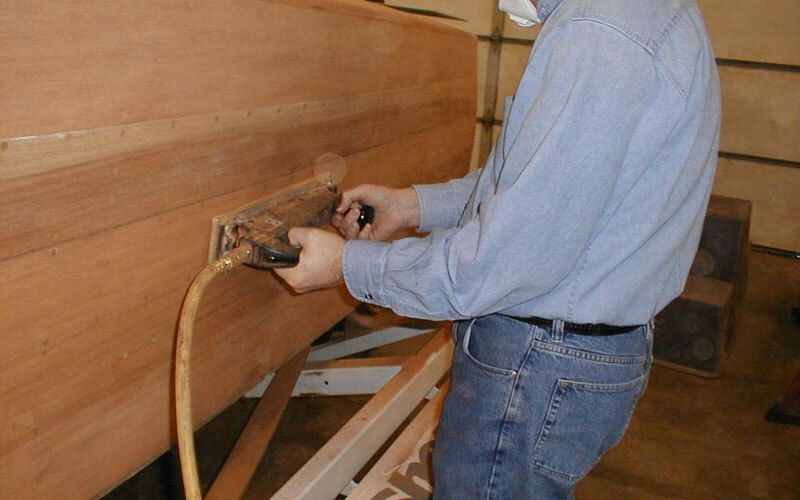 Don’t use the belt sander, it is designed to make things flat and that is the effect it will have on your hull. A hull has not been previously painted has mould release wax on the fibreglass that will interfere with the paint adhesion unless you remove it. Clean the hull surface thoroughly with dewaxing solvent and plenty of clean rags before you sand. Due to the environmental concerns, increasing regulation vary with locality and continuous research and development by leading paint companies, this subject is evolving continuously. Check out here to learn the benefits of using eco-friendly ships paint in great detail.